■ LIBYA: Italy's Salini-Impregilo reawarded Kufrah International Airport upgrade contract. 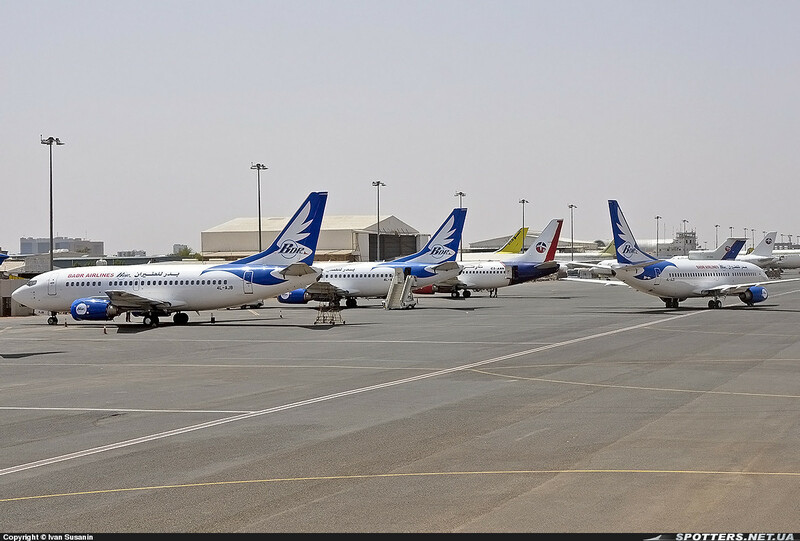 Italian construction conglomerate, Salini-Impregilo, have had a 2010 contract to renovate and upgrade the airport at Al Kufra in the south-eastern Libyan desert, reactivated with construction set to go ahead from the end of August. ■ BOTSWANA: Parliamentary inquest picks holes in Air Botswana's operations, finances. A Batswana parliamentary inquest into the operations of state-owned national carrier, Air Botswana (BP) has uncovered purported oversights in the airline's fuel procurement, fleet selection and employee accountability procedures. ► TANZANIA: Precision Air goes all prop as last 737 is withdrawn from service. Tanzania's Precision Air (PW) has reportedly retired its last remaining B737-300 (MSN 28573 | 5H-PKS) from service with the aircraft now listed by a US-based leasing firm as being available for either sale or lease immediately. The move effectively leaves the Dar-es-Salaam based carrier with an exclusively turboprop fleet of five ATR42s and five ATR72-500s. ■ KENYA: KAA begins talks with local government concerning lengthening of Malindi Airport runway. Kenya Airports Authority (KAA) has begun talks with the Kilifi County government ahead of a planned expansion of Malindi Airport's runway 17/35 in which the plans to acquire more than 25 hectares of land from about 100 families on the southern boundary of the airport to facilitate the airport’s expansion. ■ CONGO (KINSHASA): Construction of new runway at new Boma International Airport nears completion. 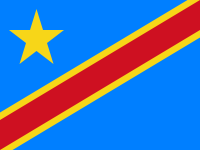 Progress on building the Democratic Republic of the Congo's fifth international airport, to be located in Lukandu, a village 12 km from the town of Boma, Bas-Congo, near the mouth of the river Congo, is advancing with the first phase of funding and construction nearing completion. So far, a 3'000m clay runway has been built and inaugurated by the governor of Bas-Congo, Jacques Mbadu Situ, who recently landed on the strip as a means of showing his faith in the project. ► SOUTH AFRICA: fastjet starts Johannesburg from September 27 as yet another board member resigns. fastjet (FN) has announced that its first international flights, from Dar es Salaam to Johannesburg, South Africa, will début from September 27. Initial frequencies will be limited to 3x weekly though this is expected to grow in line with demand. Flights will operate with an Airbus A319. ► KENYA: Missing Cessna 206F wreckage found in Aberdare forest; no survivors. The wreckage of a Cessna U206F Stationair (MCN U206-02880 | 5Y-BUG) that disappeared on Thursday July 25 while en-route from Lentille Airstrip in Laikipia, Kenya to Nairobi Wilson Airport, has been found. All 3 persons on board (two American tourists and the pilot Captain Harro Trempaneau) are dead. ► TANZANIA: Tropical Air starts 3x weekly Zanzibar - Mbeya via Dar es Salaam flights. Zanzibari carrier, Tropical Air, on July 19 officially launched a 3x weekly service from Zanzibar to Mbeya via Dar es Salaam using an ATR42-300. Flights in reality operate to Songwe International Airport which serves the town of Mbeya. ► SOUTH AFRICA: Skywise still aiming for an August launch as SACAA has yet to issue it an AOC. Nascent South African Low Cost Carrier, SkyWise (SWZ), says it has already paid deposits on two Boeing 737-300s though operations, still scheduled for August as previously reported, will only begin once the South African Civil Aviation Authority (SACAA) issues it an Air Operator's Certificate. ■ UNITED KINGDOM: Stelios' easyGroup increases its shareholding in fastjet to 5.81%. Tanzanian LCC, fastjet (FN), has announced that easyGroup, the investment vehicle of Mr Stelios Haji-Ioannou has increased its stake in the airline from 3% to 5.81% in lieu of all royalty and consultancy payments due to the group up until year end. ► SOUTH AFRICA: SAA officially issues tenders to Boeing, Airbus for 23 widebodies. Confirming former interim CEO Nico Bezuidenhout's statement regarding an order for 25-30 widebody aircraft, likely to be either 787s or A350s, South African Airways (SA) Chief Financial Officer, Mr Wolf Meyer, has confirmed that the airline has indeed issued a tender to both Boeing and Airbus for "twenty-three" aircraft, set to be delivered from 2017 onwards. ■ NIGERIA: Jet A1 fuel shortage hits the country; Abuja, Lagos worst affected. For the last two days, Nigeria has been hit by a scarcity of Jet A1 aviation fuel, triggering numerous flight delays in some of the nation's airports, with Abuja and Lagos the worst hit. Some international operators have been forced to add sectors to Accra, Ghana to circumvent the shortage whose cause is not yet known. ■ SOUTH AFRICA: Eurocopter authorizes Denel Aviation to provide MRO services to Super Pumas. Eurocopter has expanded its partnership with South Africa’s Denel Aviation on helicopter repair and maintenance. Under the new contract with the European helicopter manufacturer, Denel Aviation has received authorization to offer its repairs and servicing capabilities on Super-Puma helicopters in Southern Africa. ► SEYCHELLES: Kenya Airways adds extra flight to Mahé until late August. Kenya Airways (KQ) has increased its services between Nairobi and Mahé, Seychelles with effect from July 6 until August 31. The new flight operates on Saturdays and is expected to handle the anticipated rise in demand for flights to the island. Equipment on this route varies according to demand. ■ CONGO (KINSHASA): See Renderings for Kinshasa N'djili International Airport's new passenger terminal due in 2014. French airport equipment firm Alpha Airports, the winner of the Build-Operate-Transfer contract for this project, has commenced the construction of Kinshasa's Ndjili International Airport's new USD21million Terminal. The works were officially launched by Congolese prime minister, Mr Augustin Matata Ponyo and are expected to be concluded in the first quarter of 2014.